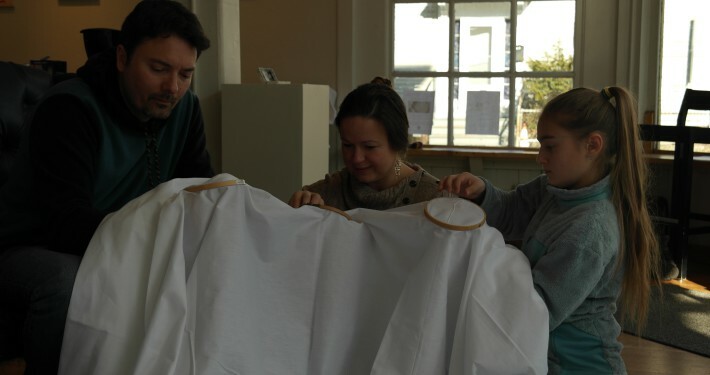 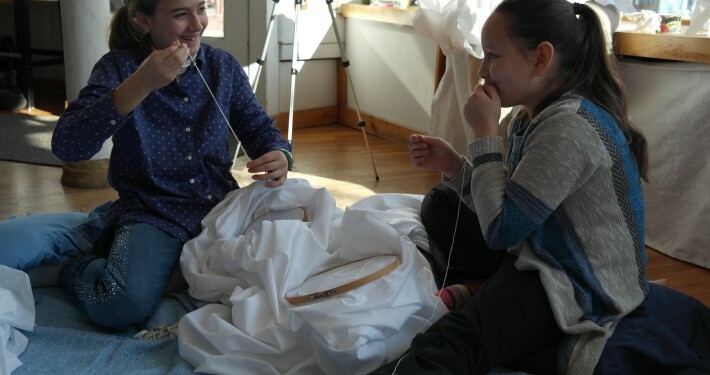 Tereza Swanda, curator of M/othering, hosted a public embroidery circle in relation to co-curator Angela Rose Voulgarelis’ ongoing participatory project, “Airing Dirty Laundry”. 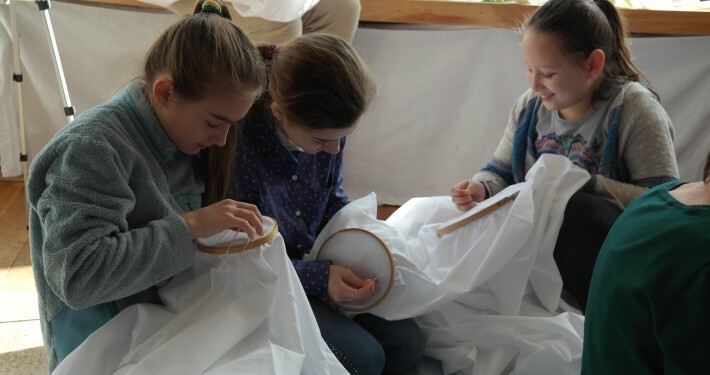 With “Airing Dirty Laundry”, Voulgarelis prompts participation with beginnings of phrases such as “Don’t Be Too…”, or “Not Enough….”, asking visitors to complete the phrase in writing. 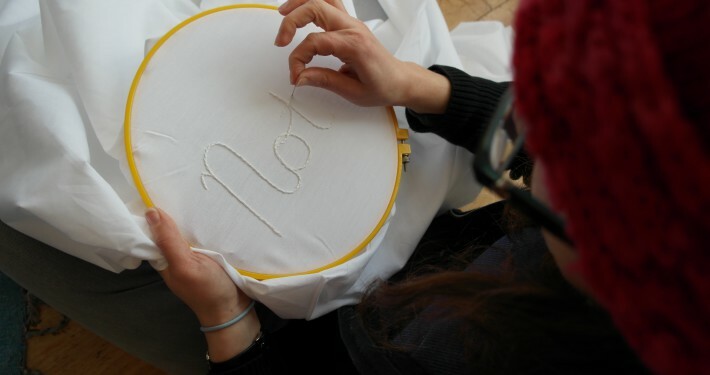 Voulgarelis then embroiders the responses in public spaces, inviting conversation and exchange. 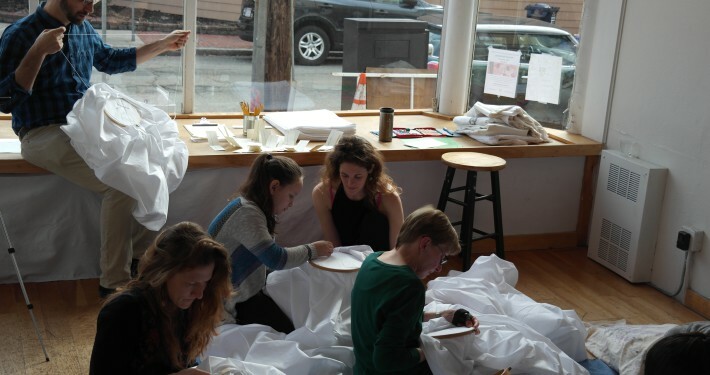 Participants were provided with basic instructions, materials, and phrases to embroider which have been generated by the “Airing Dirty Laundry” project at Gallery 263. 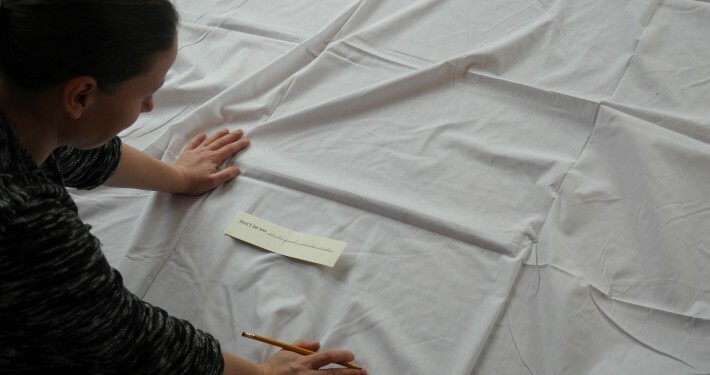 The date of this event was designed to coincide with the Women’s March on Washington D.C. 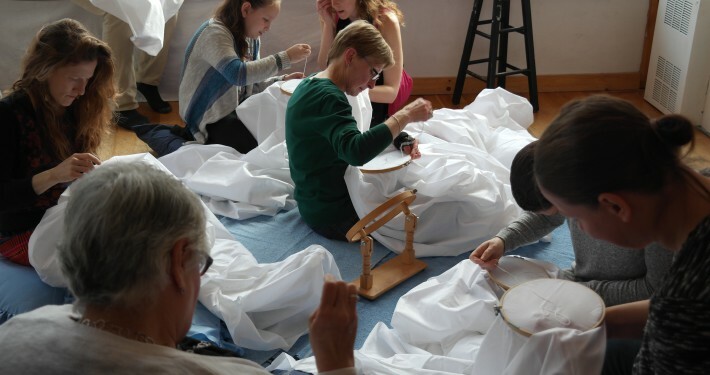 Participants came together in a spirit of solidarity and openness, sharing their hopes and fear about the current political climate, exchanging stories, reflecting on cultural expectations, and meditating on the burdens and pleasure of so-called “women’s work”.